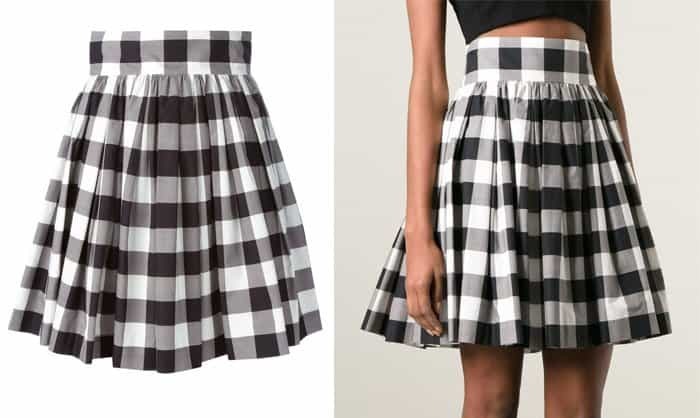 Who Looks Best in a Gingham Skirt: Kate Upton or Blanca Suarez? « Olivia Palermo, Chanel Iman and Hannah Davis’ Skirts Cost Less Than $40! With the gingham game still going strong this season, we’re seeing more and more celebrities sporting this print. The latest ones to join the trend are Spanish actress Blanca Suarez and model/actress Kate Upton. 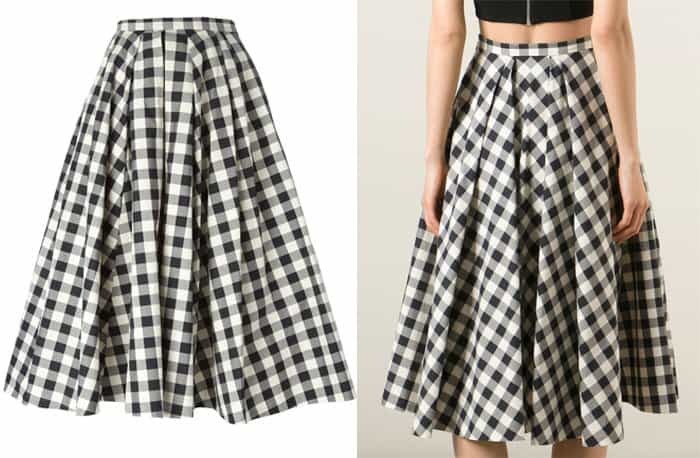 The two wore gingham skirts to two separate events, making it hard for us not to pit their style against each other. 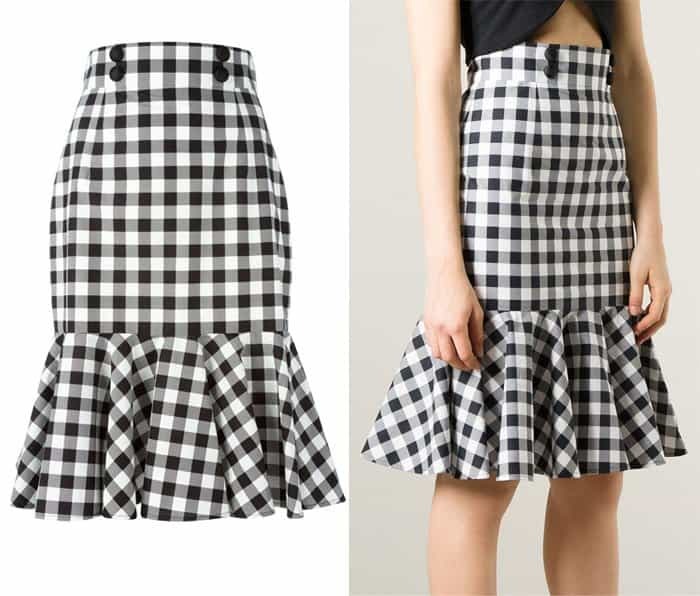 Who do you think wore her gingham skirt better? The 22-year-old took a fashion chance by clashing her Dolce & Gabbana Checkered A-line skirt with a Dolce & Gabbana floral printed brocade cardigan. This risk paid off because the end result looked fun and refreshing. Topped with a trench coat and styled with a pair of lace Kurt Geiger pumps, the swimsuit model looked absolutely great. Although on the safer side, there’s no denying that the 26-year-old’s Oscar de la Renta Spring 2015 outfit is chic and current. We’re not sure about her sandals, though. They just didn’t work with the vibe of the ensemble. This seems to be an easy win for Kate Upton. But what do you think? 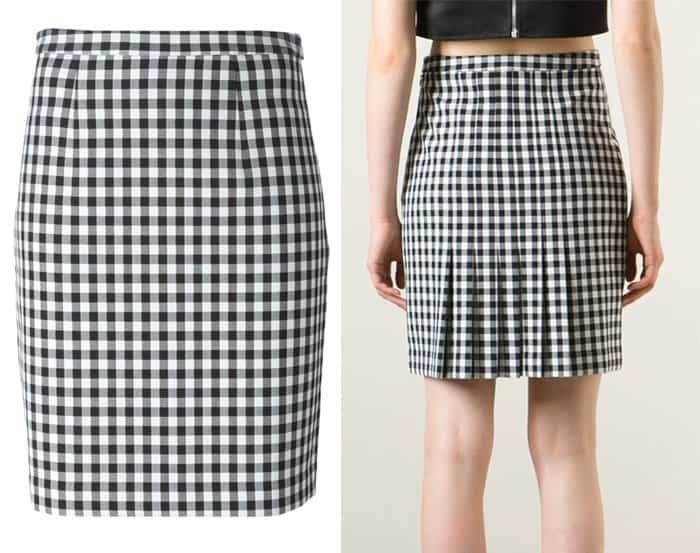 Which gingham skirt look did you fancy more?